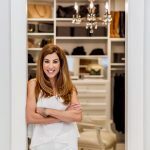 The linen closet is a great way to start the clutter clearing process. 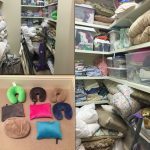 People are generally not emotionally attached to items in a linen closet and it doesn’t take a lot of time to achieve amazing results. Follow these five tips to simplify and organize your linen closet. The only way to tackle any organizing project is to start from scratch. 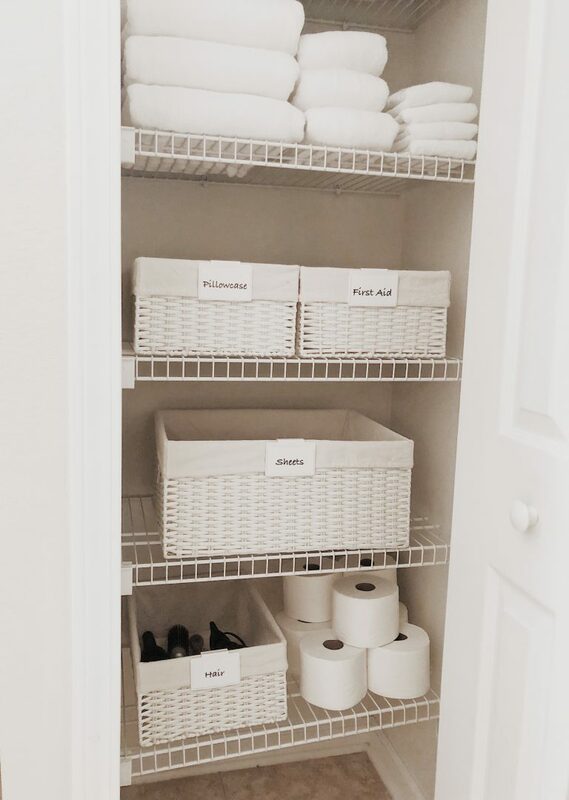 If you organize around your items you are just shuffling clutter. You hear me say it often but you really do have to remove everything if you want to get the job done. 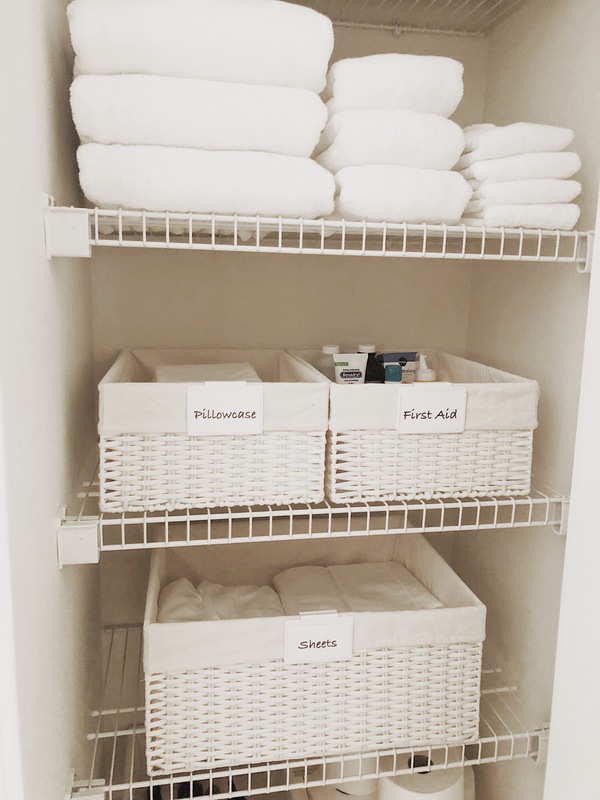 Now that everything is out of the space get rid of old linens that are ripped or torn, mismatched towels, old blankets and pillows that are never used and items that don’t belong in a linen closet. 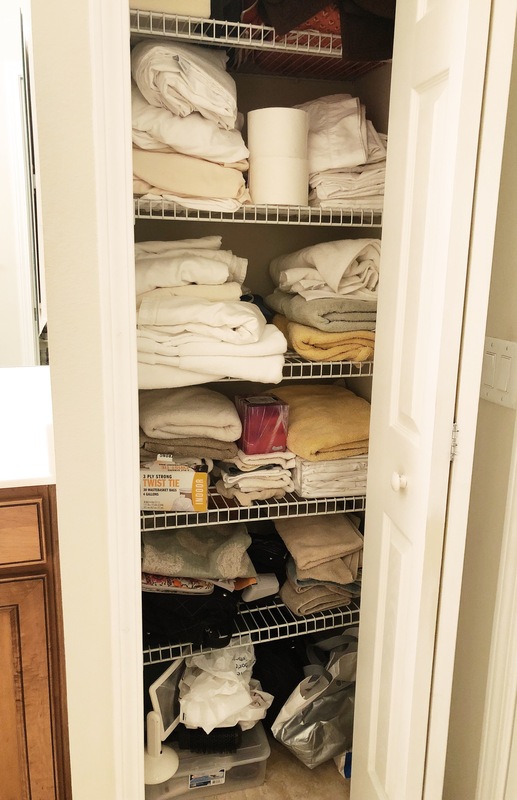 The Humane Society, your groomer and veterinarian would love to take your old towels and by donating them it will make you feel better about letting go. I say this all the time but it’s something that I know works. 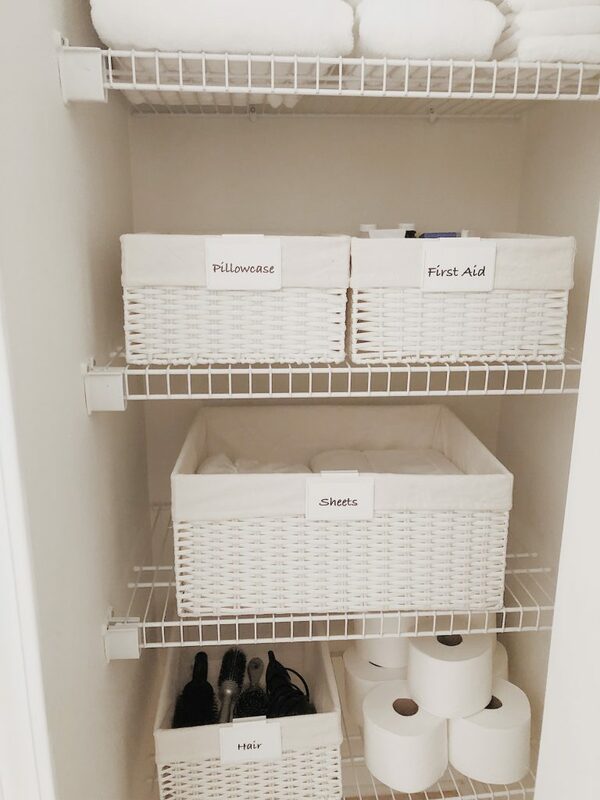 Group first aid, sheets, towels, travel, hair care and any other like items you want to keep in the linen closet. 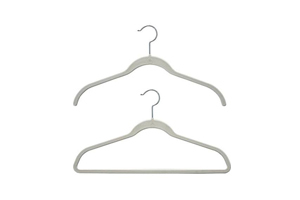 Grouping like items will save you time and money. No more searching for items or spending money on things you already own. Once you have purged measure the area and find containers that work for your space. 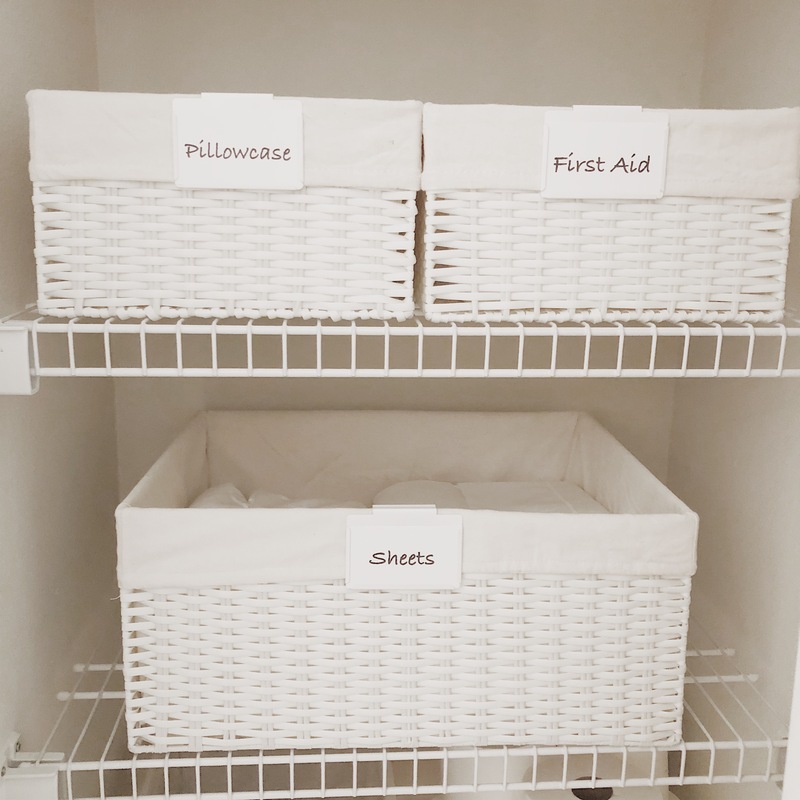 Baskets or lidded containers work well in linen closets but whatever you choose don’t forget to label. If you can’t see it you don’t know you own it. 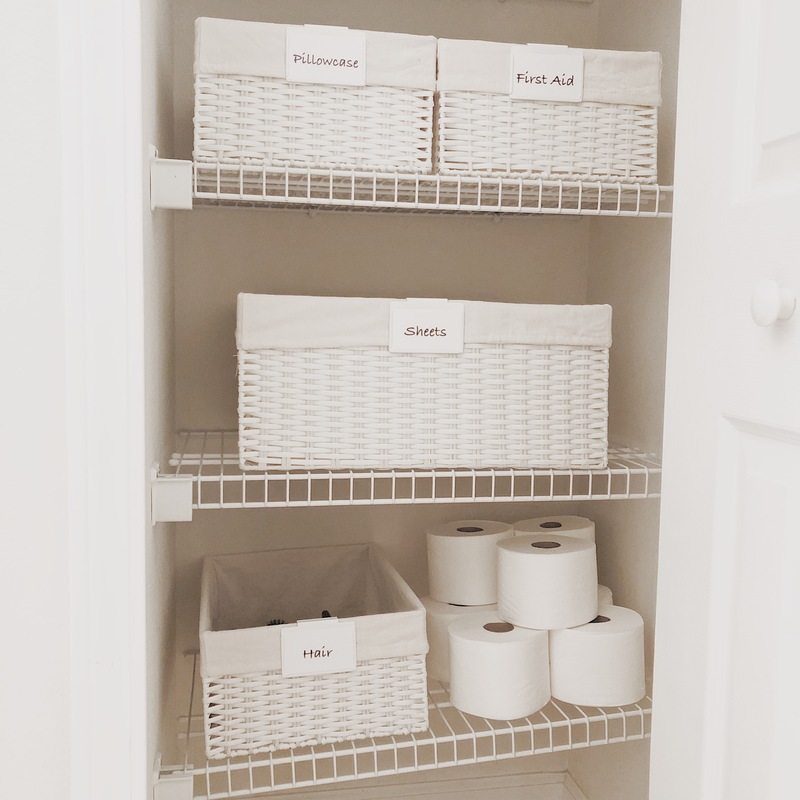 When you are clearing the clutter and organizing always remember to keep it simple. Keep only what you need, use and love let the rest go. 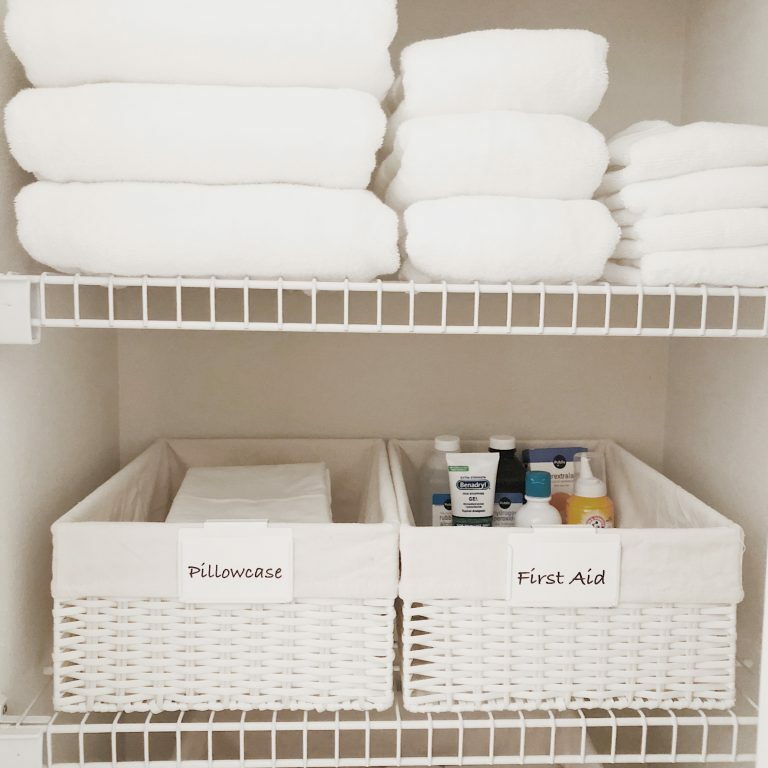 You don’t need to tackle an entire house in order to begin getting organized. 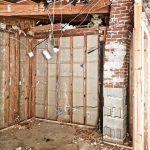 Every time you purge a space and enjoy your hard work it will motivate you to move on to another area in your home. Start small but start somewhere!